Karen could feel her face turning hot, and red. It was beyond countenance that her father could not travel to her, and that it would be twelve months before she could return to London. Exasperated to the point of speechlessness, she found herself staring at the Ticket Inspector, then turning away, then turning back and staring again, then opening her mouth, not saying anything, closing it and opening it and not saying anything again. Some of Karen wanted to cry. Some of Karen wanted to scream. Thankfully, a lot of Karen was a big, sensible, level-headed girl now, as her father would proudly comment when he thought she could not hear. But still her mouth opened, and closed, to no effect, for want of words to utter. Karen could not think of what to say, but she did think her wide-mouthed silence might give her the appearance of a guppy, so she closed her mouth, and composed herself. Steadying herself, and looking the Ticket Inspector hard in the eye, Karen stepped towards the Ticket Inspector’s window, and had worked out what to say when, the stork, which had passively kept one eye on proceedings, stretched one long limb ahead of Karen, stood in front of her, and addressed the Ticket Inspector instead. “You’re a monstrous bully,” said the stork, to the Ticket Inspector, in feminine voice, both high-pitched and serene. “I dispute that!” protested the Ticket Inspector. â€œWell, could you be helpless then?â€ suggested the stork. â€œI need to get back to Westminster,â€ said Karen to the stork. â€œShe needs to get back to Westminster,â€ said the stork to the Inspector. â€œShe can go back in a yearâ€™s time,â€ said the Inspector to the stork. â€œYou can go back…â€ started the stork, but Karen interrupted. â€œShe could walk,â€ said the Inspector to the stork. â€œYou could walk,â€ said the stork to Karen. â€œHow far is it?â€ said Karen to the Inspector. â€œWell I donâ€™t know. Tell her that I only know times, not distances,â€ said the Inspector to the stork. â€œHe doesnâ€™t know,â€ said the stork to Karen. Karen noticed her foot was involuntarily tapping on the floor. Between the stork and the Inspector, she feared she would lose her temper long before the conversation made any useful progress. Karen took a sharp intake of breath, and tried to start again. â€œWhatâ€™s a bus?â€ asked both the stork and the Inspector, simultaneously. â€œLike a coach,â€ said Karen. â€œAre you in training?â€ asked the stork. â€œWell, yes, I suppose so,â€ responded Karen, tentatively. â€œWell there ainâ€™t any carriages that go that far,â€ answered the Inspector. If horses sounded exciting, airships sounded extraordinary. 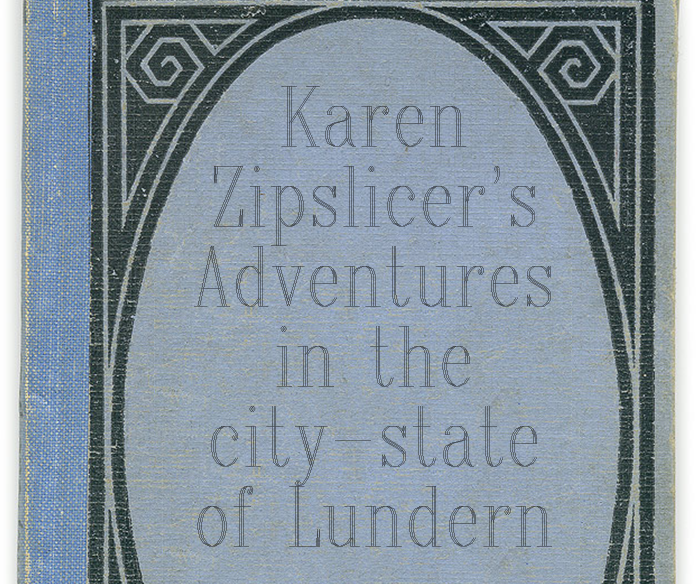 â€œCould I take an airship to London?â€ Karen secretly hoped she could. â€œYou canâ€™t,â€ said the Inspector. â€œHeâ€™s right, you know,â€ said the stork. â€œHe means insured,â€ said the stork, not entirely clarifying the problem to Karenâ€™s satisfaction. â€œWhat do you mean, Iâ€™m not insured?â€ asked Karen, thinking it wisest to deal with the last obstacle first. â€œI know I do,â€ added the stork. â€œThey make me take flight insurance, in case I fly into things. And bite insurance, in case something bites me. And fright insurance, in case I get scared and faint. And height insurance, in case…â€ but Karen butted in. â€œWell, how do you know I donâ€™t have insurance?â€ protested Karen. “You can’t, at least not at this time of night. You’ll need to get some tomorrow morning,” said the Inspector. “So I can’t leave this station until tomorrow morning?” exclaimed Karen. “What kind of waiver?” asked Karen. “An insurance waiver, my dear,” replied the stork, once again talking to Karen like she was the most ignorant girl in the world. Karen was unsure what to make of the stork’s offer, but her motives seemed kind and genuine. Though Karen would hardly have chosen to spend her evening following a stork around, it seemed the best of the limited options available, given the only alternative seemed to be living in the station for next year of her life. The Ticket Inspector, possibly glad to be rid of Karen and the stork, said nothing as he stood up and fetched a large pad of paper from a draw in a tall wooden storage cabinet at the back of his room. He carried it back, and sat down, and lifted up his pen. “Cecilia Down,” answered the stork. “No, I don’t trust your spelling,” was the Inspector’s gruff reply. He scribbled rapidly, and in a few seconds, tore the perforated paper from the pad, and slid it across his counter towards the stork, who we now know is called Cecilia. Cecilia picked up the waiver in her bill, and tucked it under a wing, saying thanks to the Inspector as she did. “Thank you,” added Karen, after a moment. Cecilia turned to face Karen, but then looked past her, at a large rattling arrivals board suspended from a wall some way behind her. Karen looked around at the board too, and as she did, it rattled again, and a new train had risen to the top slot. “It’s time for me to collect my package,” said Cecilia. “You wait here, whilst I go and fetch it,” and with that, Cecilia stretched her long legs and rapidly walked away, towards and then down a stairway beneath the arrival board. With Inspector and Cecilia gone, Karen was quite alone. This side concourse was empty and quiet, but a hubbub emanated from the main concourse. At first Karen stood still, looking across at the scene as the strange passengers of Lundern made their way to and fro. After a few minutes, Karen ambled towards the glass partition that separated this part of the station from the main concourse, becoming more inquisitive, the closer she was to it. The station was populated by many peculiar characters, both human and animal. Many women wore bonnets, and men wore hats, whilst most animals went unclothed, though some wore caps fastened around their heads by string. The women looked like quite pretty, thought Karen, though some of their bonnet brims were so long as to completely hide the wearer’s face. There were many types of animal, from little mice to one tall llama, though all seemed courteous enough to mind where they trod, and none demanded right of way. Some of the people and some of the animals wore what looked like dark glasses, which was odd, as the evening light had faded, and the hall was lit only by dim lanterns. Animals acted like people, and people acted somewhat like animals, and none paid much attention to the other, except to remain a polite distance from one another, as if everything in the scene was ordinary, though disorderly, as they all weaved past each other. Karen was engrossed for a little while, and then it occurred to her that she was above ground, and she reached for her mobile phone. There was no signal, and Karen looked at it, disappointed. She mused about how to get a message to her father, reassuring him that all was fine, for the moment, though Karen more wanted to hear his reassuring voice. But there seemed no way to contact him. She supposed that Cecilia, the stork, would have to help Karen find somewhere to spend the night, so she could catch an airship home tomorrow. And whilst she imagined what it would be like to fly in an airship, and where she might find herself sleeping, Karen heard Cecilia’s high-pitched voice above the din of the crowds, calling to her from the other side of the glass. “Come along now,” said Cecilia, who spoke whilst taking care not to drop a package suspended from her beak by a muslin hammock. “Really?” and Cecilia seemed to smile to herself, like she thought that Karen was talking the most perfect nonsense. “Well, how do they deliver them, where you come from?” asked Cecilia. “Oh, it’s complicated,” answered Karen, truthfully. They had reached the grand arches of the exit now, and as they stepped outside on to the cobbled street, the crowds subsided and Cecilia could comfortably turn back to Karen.